Gary was promoted to become a Director of Maltbys in 2004 and is currently Maltbys Managing Director. 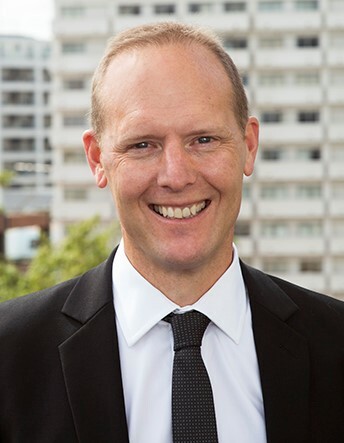 Gary has over 17 years industry experience in New Zealand with Maltbys as a professional consultant and 10 years experience in the UK mainly working for construction companies. Gary qualified as a professional member of the Royal Institute of Chartered Surveyors (MRICS) in 1995 after completing a five year part time Honours degree in Quantity Surveying at Nottingham Trent University (BScH). Gary is a Fellow of the New Zealand Institute of Quantity Surveyors (FNZIQS) and is a Registered Quantity Surveyor (Reg. QS). Gary's expertise covers the full range of quantity surveying services, but specializes in Client Representation, Estimating and Cost Planning, Contractual and Procurement Advice, Risk Assessment and Management, and Lender’s Certification. Gary has worked on a wide range of projects both in the UK and New Zealand, latterly and significantly in the Education, Residential and Commercial sectors. Outside of work, Gary is a keen road cyclist and scuba diver. He is also a keen follower of Nottingham Forest Football Club in the UK and both the England and NZ cricket teams. His main focus however is in managing his three children.